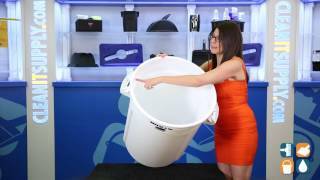 Perfect for commercial, industrial and residential environments, as well as being durable in both indoor and outdoor arenas, these high quality 32 gallon trash cans are built to last. 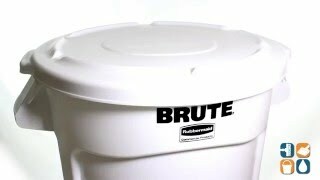 Rubbermaid Brute trash cans are a seamless design and are made of polyethylene construction that won’t dent, rust or leak. A reinforced rim and base set the standard for Rubbermaid quality. 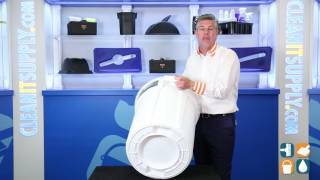 For convenient waste collection from one location to the next, the Heavy-duty, Rubbermaid 32 Gallon Brute Trash Can is the complete garbage receptacle. (Cannot ship UPS. Will ship LTL Common Carrier) White color is NSF/USDA. Approved for food contact and NSF tested/certified.